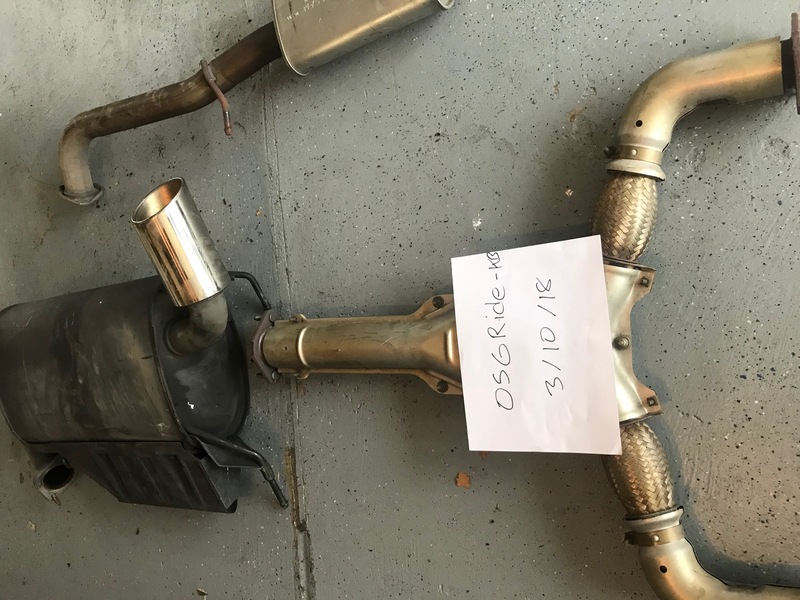 Selling the stock Y-pipe from my 2005 G35 Coupe. Has ~25K mi on it. Located in NorCal and would prefer pickup, but can ship at the buyers expense. Asking $60. PM me with offers. Last edited by 05GRide; 07-09-2018 at 01:11 AM. Replied! Thanks for the interest. Of course you are on the West Coast! Boxing that stuff up and shipping would likely be astronomical to Virginia. Otherwise, I'd be all over it. Airbox sold and shipping today. Thanks bigglj3. Any offers on the exhaust? Local preferred as I'm having trouble even finding boxes that are big enough to ship this. If you have a UPS store nearby you can call them and ask for large box dimensions, I'm sure they will have something. Fedex is usually the cheapest for shipping heavy items but get an accurate scale weight for the item and use the online shipping calculator for a pricing estimate so you aren't shellshocked with a $60 freight bill. If you want a FREE cardboard box check out stores that carry medium sized items like a bed, bath, and beyond, Target, etc and ask their stock personnel if they have something laying around. Those places usually toss a few dozen large boxes per day and will typically just give you one if you ask. Still have the Y-pipe and midpipe available. Selling the stock Y-pipe, and Mid-pipe from my 2005 G35 Coupe. Has ~25K mi on it. Located in NorCal and would prefer pickup, but can ship at the buyers expense. $100 for the set. PM me with offers. I'm interested in the set...mine just got real banged up from a turkey!! I have a 2006 g35x sedan...and parts look the same...ill double check. I would need to pay you to ship to Ma. Is this still available? I am interested in Y-pipe.